You want one? We want one! Get in the mood this 11.11 with flash sales, great rebates and discounts! 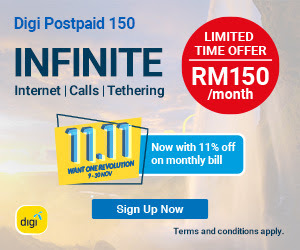 Happening all this month, chase the November blues away with 11.11 deals. Discounts on everything. 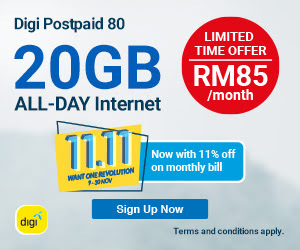 Get discounts when you sign up with Digi Postpaid™. 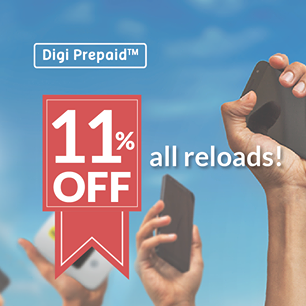 11% discount on reloads with Digi Prepaid™! 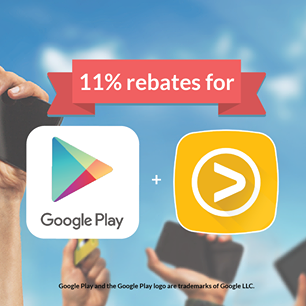 Get more for less with Viu and Google Play!